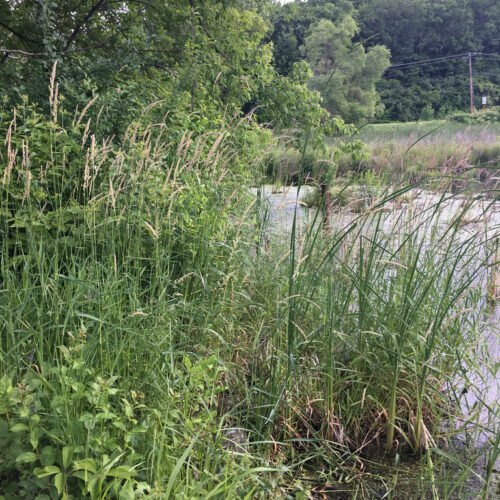 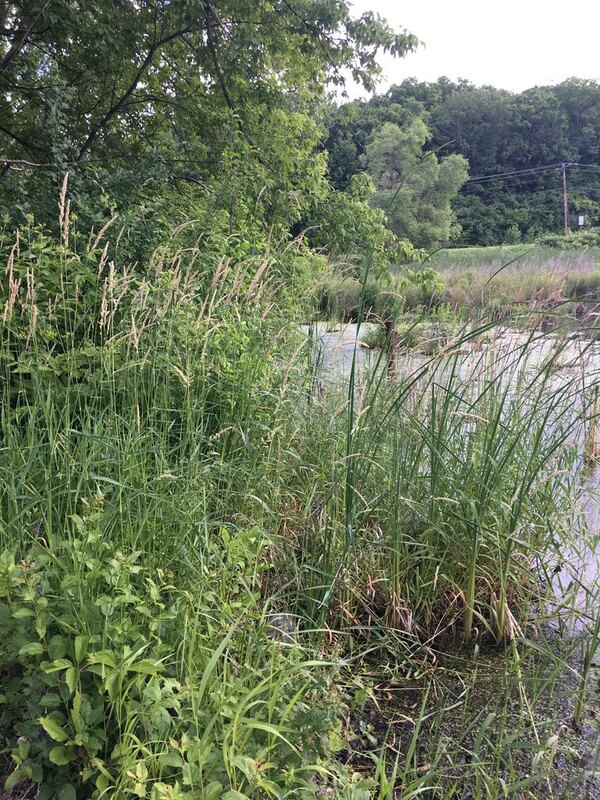 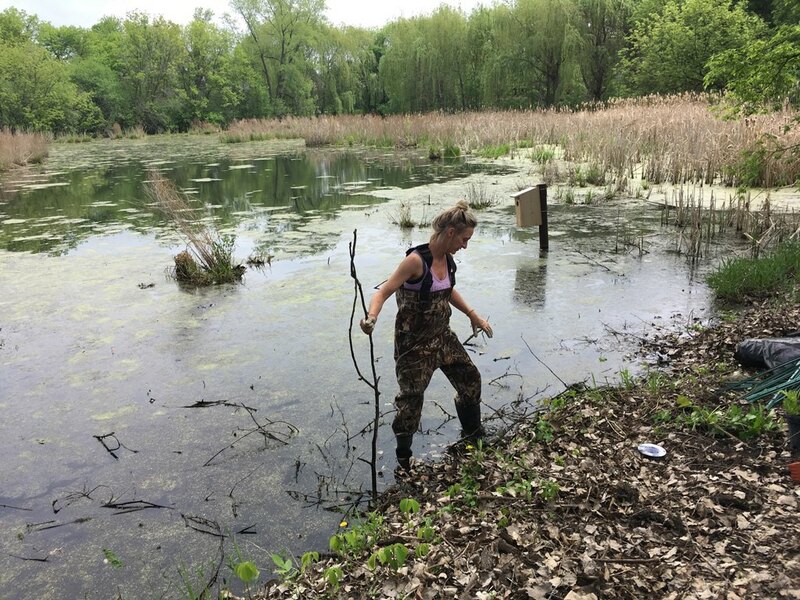 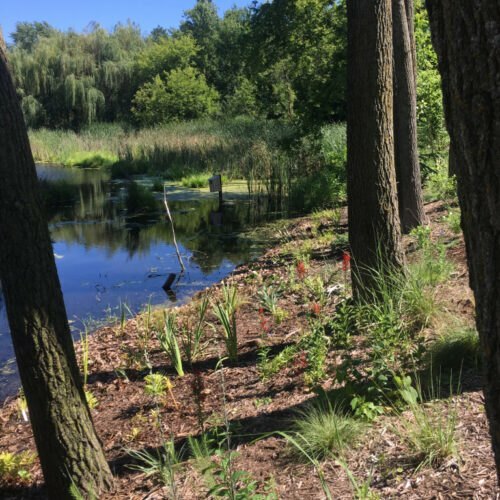 This wetland buffer restoration planting replaces what was once a thick growth of invasive species. 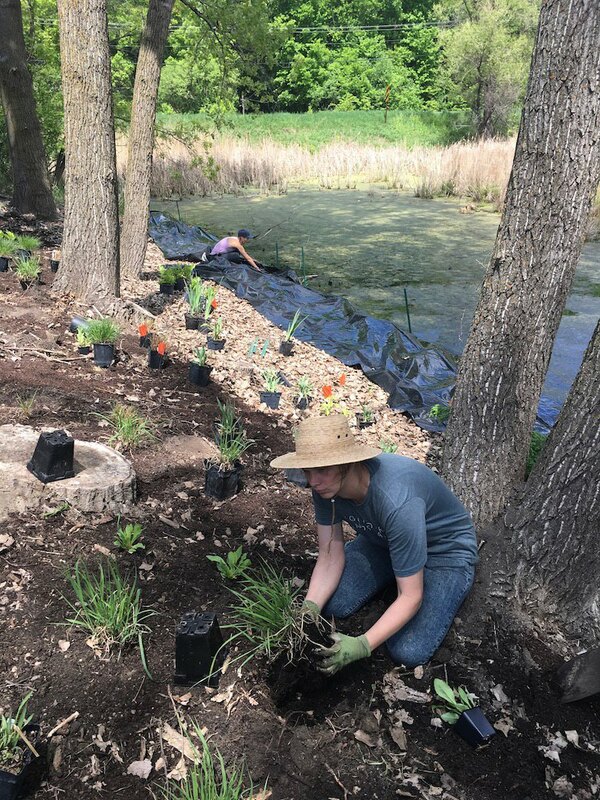 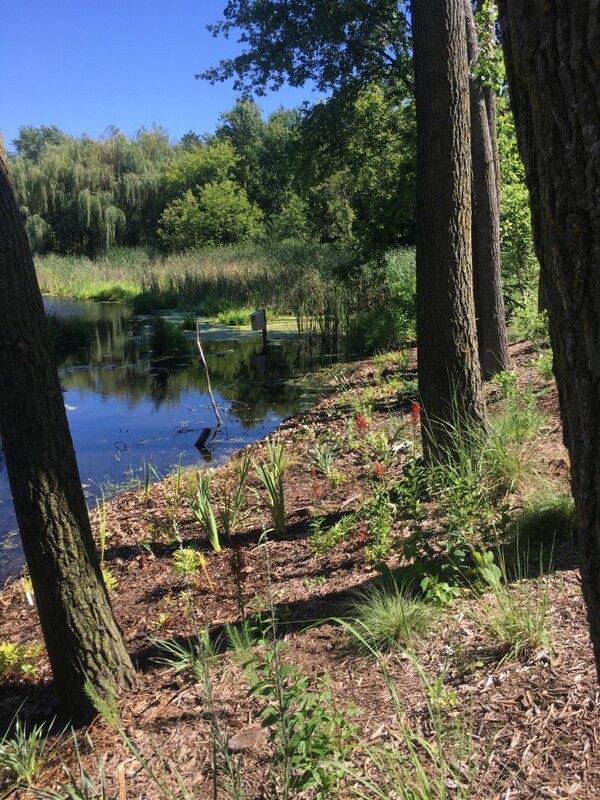 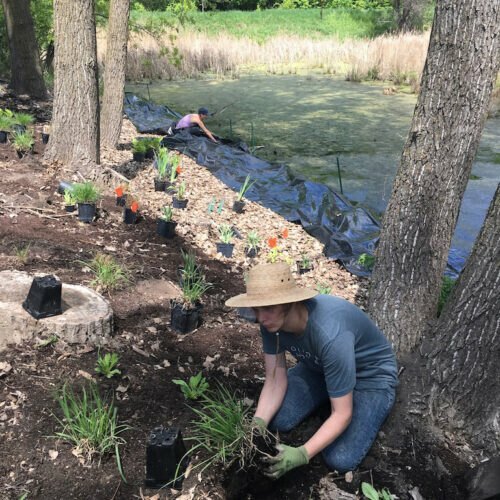 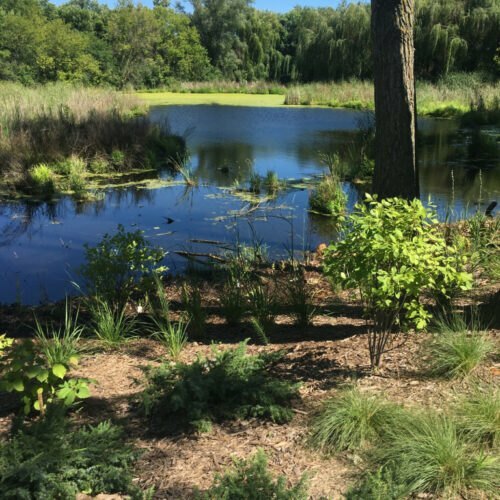 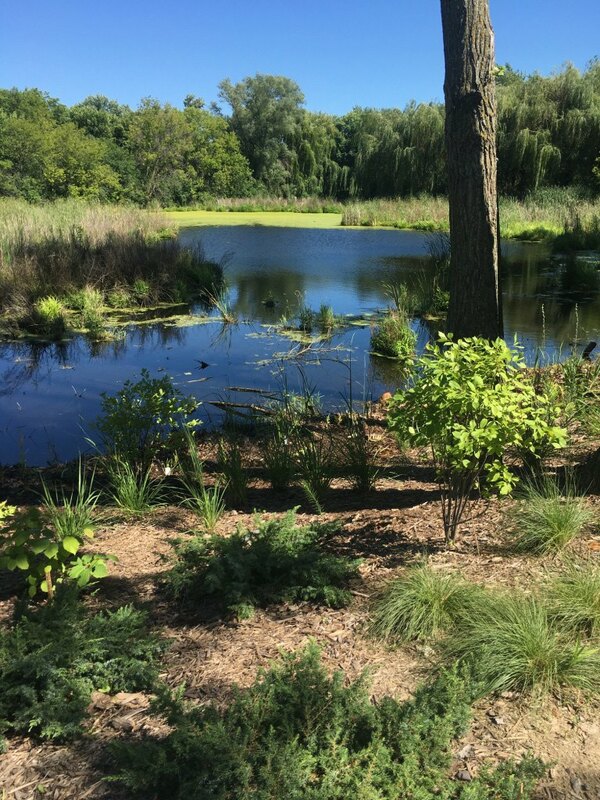 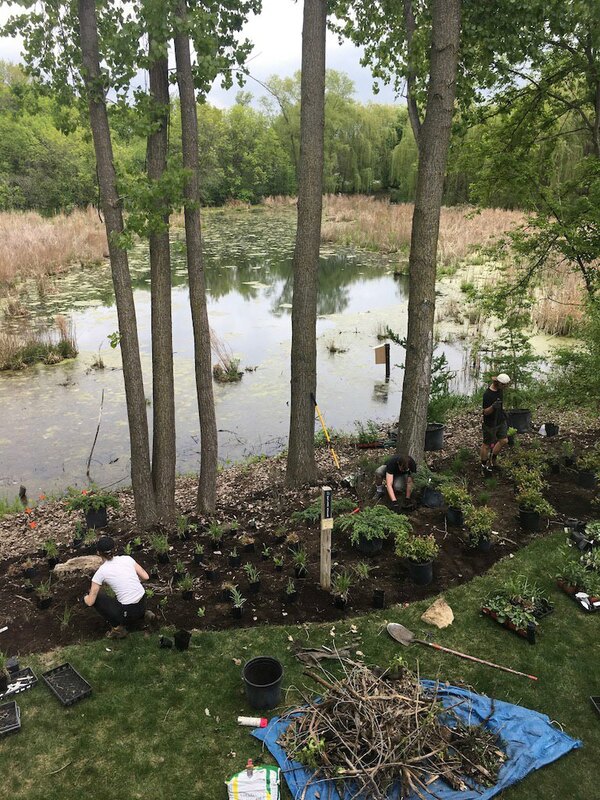 Through the planting of native species, the landscape is now filtering stormwater run-off, stabilizing the shoreline, and bringing diverse pollinators and habitat to the site. 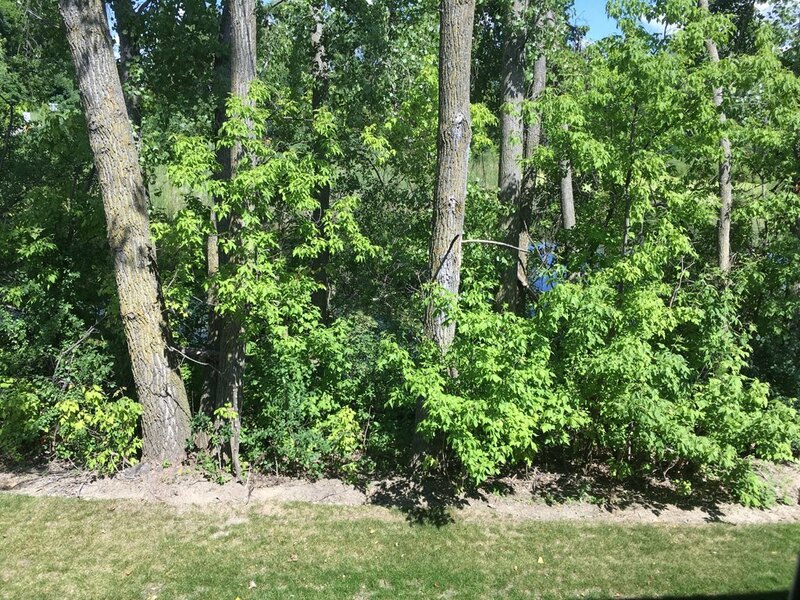 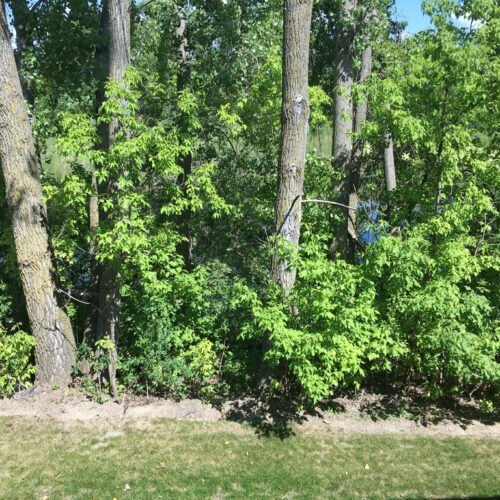 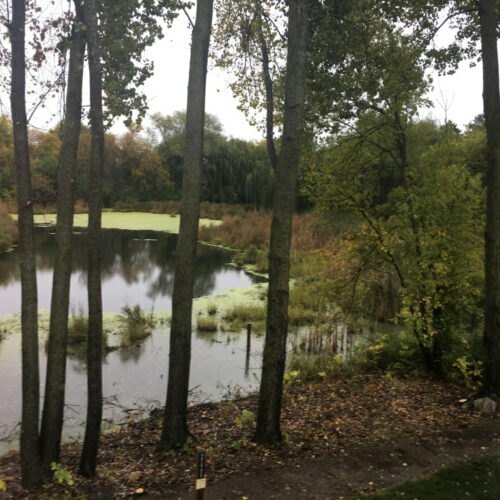 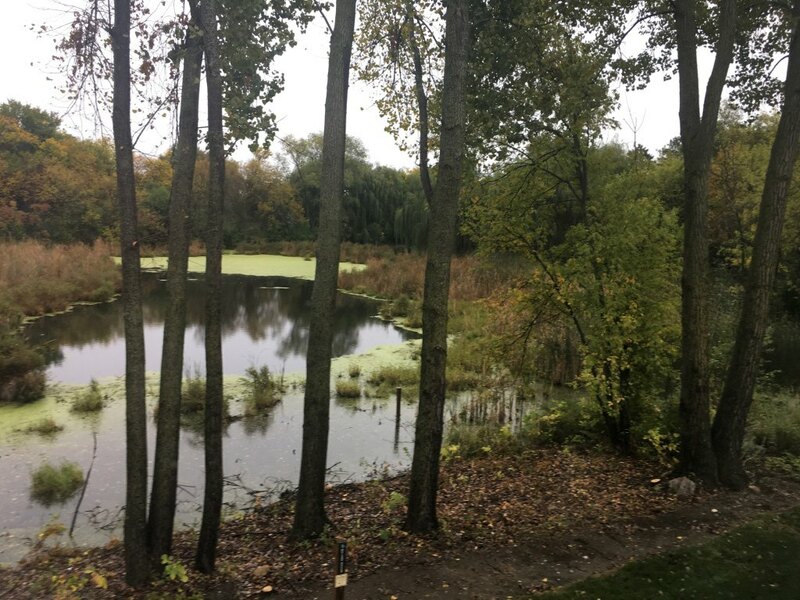 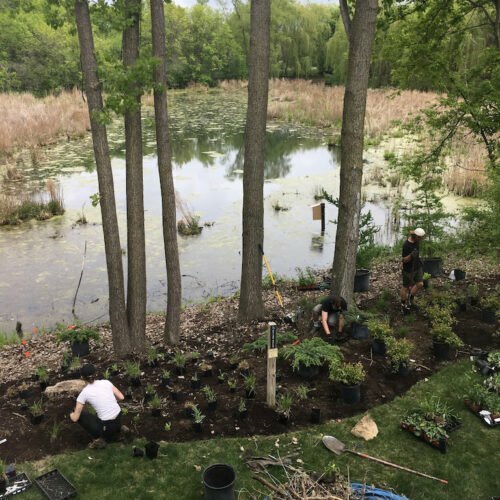 Planted in early 2018, we planted larger, more established #1 gallon plants to fill in more quickly and compete with the aggressive invasive species, minimizing maintenance in the first few growing seasons.